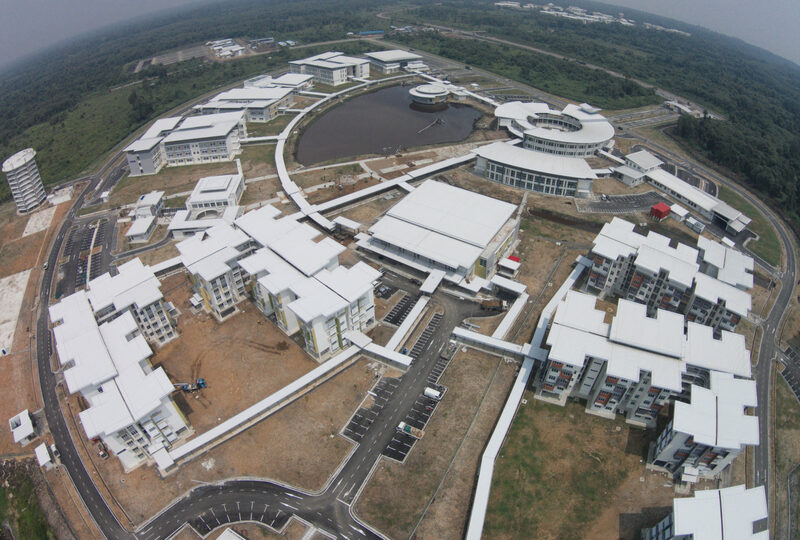 HSL secured the RM291mil contract for the design, construction and commissioning of Mukah’s UiTM campus in 2012. A growing student population saw the need for a permanent campus building that could offer more diverse courses and programmes. 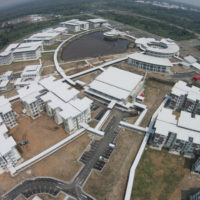 Completed in late 2015, UiTM’s new Mukah campus is a far cry from the university’s days of renting shop houses, and is now capable of housing over 2,000 students, integrating dormitories, libraries, lecture halls and laboratories. 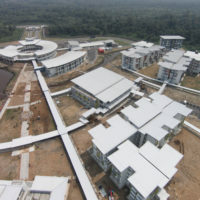 The complex project called for the integration of works including sand filling, piling, civil infrastructure, buildings, mechanical and electrical works – a challenge the company accepted and completed with gusto, resulting in one of the most uniquely designed university campus buildings in the state. 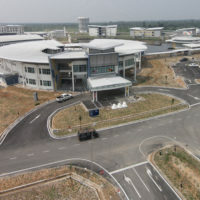 The new UiTM branch campus is for the development of human capital to complement the fast-paced development of the Sarawak Corridor of Renewable Energy, better known as SCORE. 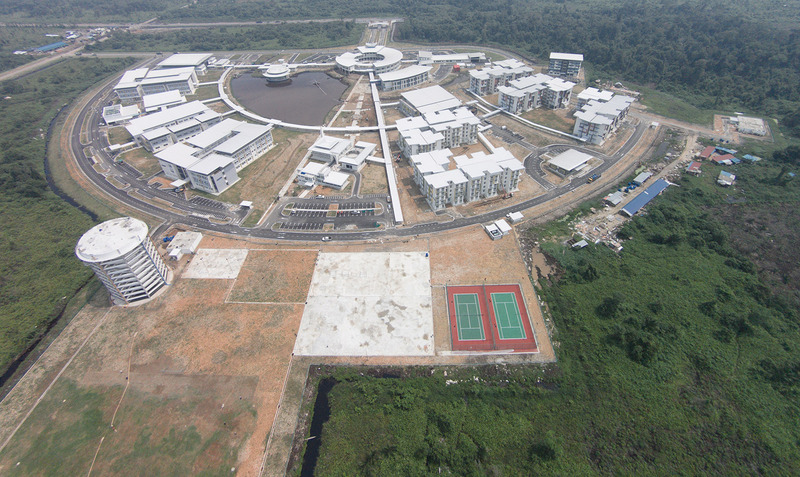 The campus covers 64 acres, with walkways and five blocks of five-storey apartments for live-in accommodation. 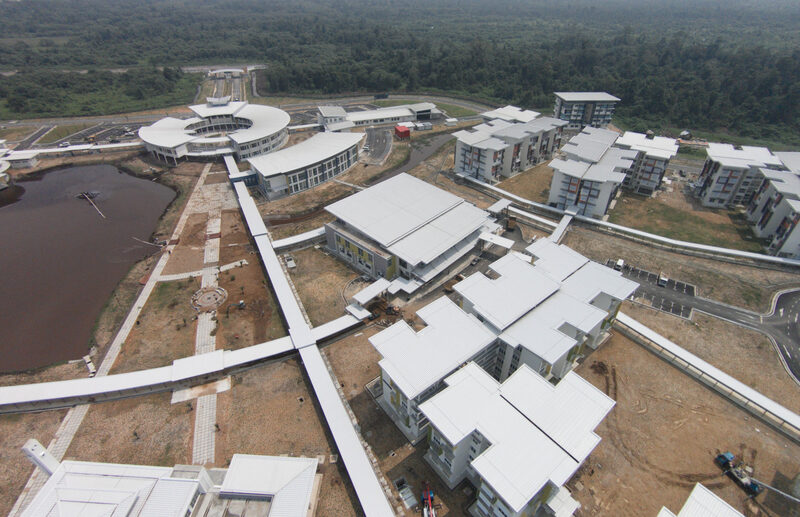 It also features adjacent satellite buildings and fully equipped facilities built to world-standard specifications, giving students access to the tools they need to undertake courses in Applied Sciences, Plantation & Agrotechnology and Industrial Chemistry. The project with its low-lying terrain and inclusion of a substantial lake as a scenic feature, drew on HSL’s marine engineering expertise. The successfully delivered project was another demonstration of HSL’s strong 30-year project delivery track record. It was also a showcase of HSL’s various niche skills at a single site. 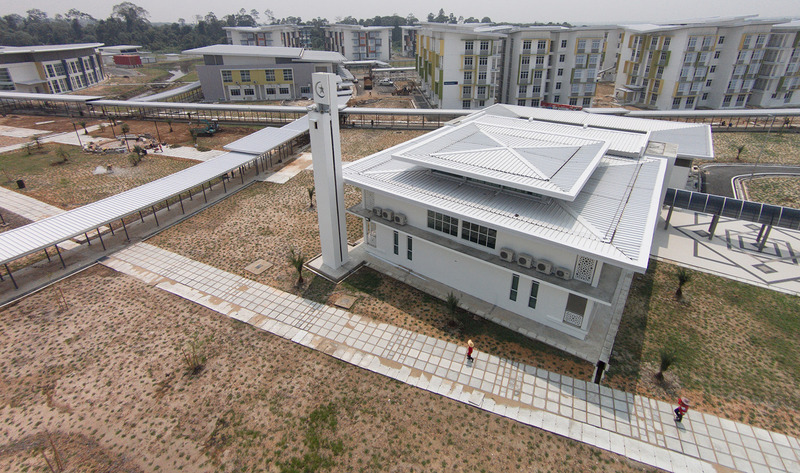 HSL collaborated with the multi-award winning, Jurubina Unireka, to make UiTM’s Mukah campus an attractive one. Situated on 64 acres of land, the academic, hostel and administrative blocks are “tied” together by a lake and streams as major landscape elements. The masterplan’s concept was to “take a leaf from nature” by adopting natural forms as the primary order of the layout. 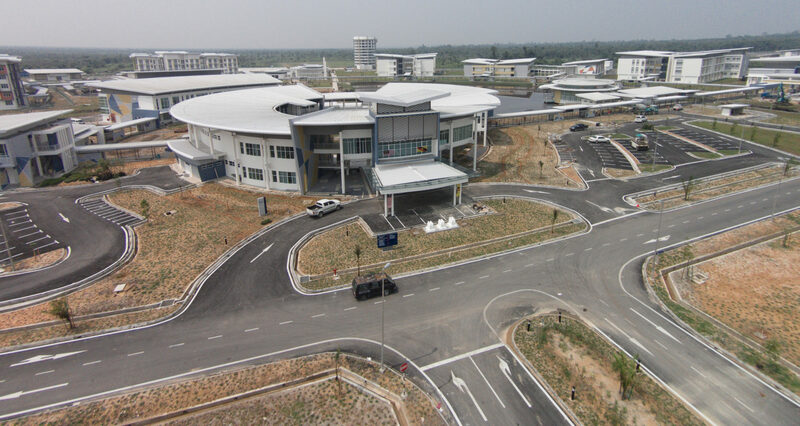 The main aim of the design of the UiTM Mukah Campus is to celebrate Mukah’s cultural heritage of water villages and fuse it with modern contemporary learning spaces. The design for the campus offers an opportunity for social integration through a series of connective walkways between each block and the surrounding areas. 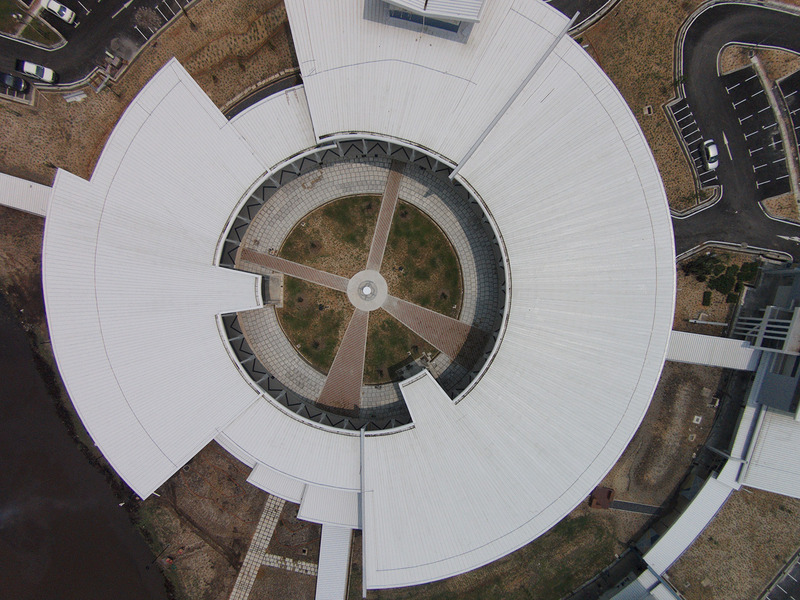 Design considerations include building orientation and shading in relation to the sun path, along with the incorporation of maximum ventilation and natural light to all buildings.